An unfiltered West-Coast style IPA with a citrus/herbal hop explosion up front and a medium body with a malty backbone to round out the hop flavors. This beer is generously dry-hopped with Centennial, Amarillo, and Simcoe hops. An unfiltered malt-forward beer with a mild roast flavor. The recipe for our Brown Ale was inspired by an 18th century ale recipe from Virginia. Made with caramel and roasted malts, and lightly hopped with Cluster hops, this beer has notes of toffee and chocolate. CBBC Apricot Wheat is an unfiltered American wheat ale, brewed with red wheat malt and Pacific Northwest hops, infused with apricot puree. We utilized Kolsch yeast to give this beer a light, crisp and refreshing character to allow for the subtle hint apricot flavor to come through on the palette. 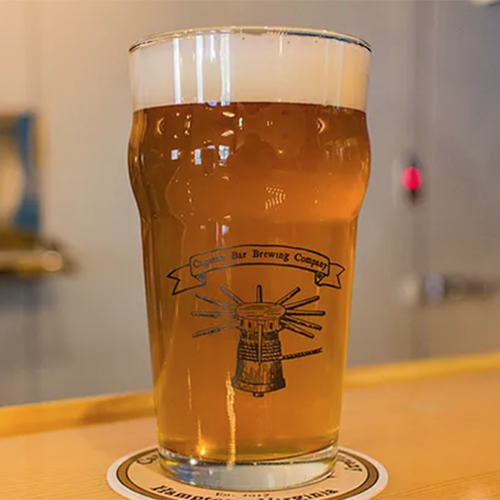 CBBC Kolsch is a light, crisp, and refreshing unfiltered version of the classic German beer from Cologne. Our Kolsch is brewed with pilsner and Vienna malts and delicately hopped with German Hersbrucker hops. This beer was fermented with an authentic Kolsch yeast to give it a crisp, clean flavor profile with notes of grain and subtle fruit. 5.5% ABV, 20 IBUs. Brewed with pilsner malt and Saaz hops to produce a light, crisp refreshing lager. The pilsner malt gives this beer slight bready notes balanced by the Saaz hops for a clean finish. Brewed with two different kinds of caramel malts, plus Munich malt and a touch of chocolate malt to accentuate the malt profile. It is bittered with Magnum hops, with generous late additions of Cascade and Centennial hops. The result is a beer with a solid malt backbone, balanced with West Coast hops, and a mild citrus aroma from the Cascade. A complex, full-bodied, dark beer, with a malty caramel backbone and roasted aroma with notes of chocolate and coffee. 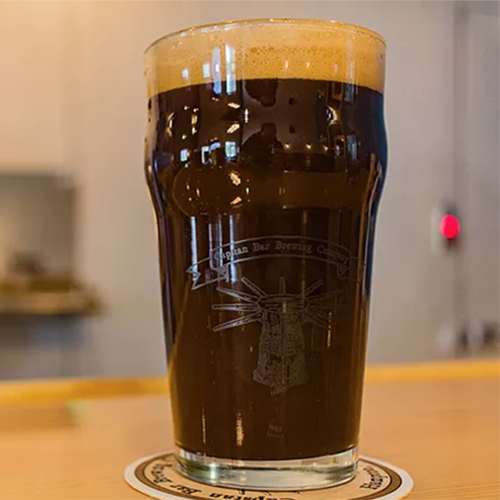 This unfiltered West-Coast inspired porter is balanced with Crystal hops. A complex, full-bodied porter, with hints of mocha and mild toasted coconut. This beer is delicately balanced with Crystal hops and a generous addition of toasted coconut in the fermenter.